Researchers in Australia have come up with the electrical equivalent of a thinking cap, capable of broadening the mind. Writing in PLoS One this week, University of Sydney scientists Richard Chi and Allan Snyder used a technique called transcranial direct current stimulation (tDCS) to significantly boost the problem-solving abilities of a group of 60 volunteers. The two researchers set out to test the hypothesis that the more we know, the more close-minded we are; in other words, the better informed we become, the less intuitive it is to "think outside the box". This, they reasoned, is down to a brain region in the anterior temporal lobe, which has previously been associated with insight and attaching novel meaning to experiences and situations. 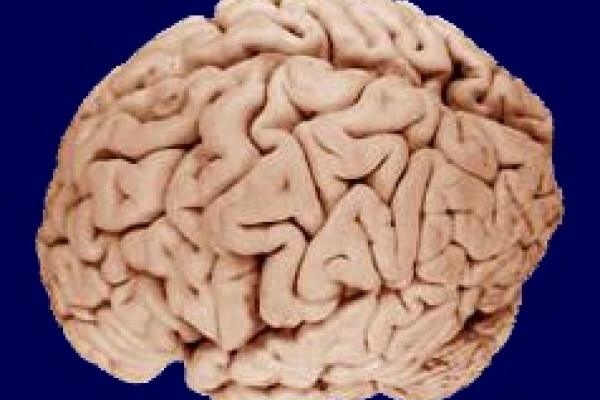 Damage to this area on the dominant (usually left) side of the brain in patients with dementing diseases, head injuries and strokes has been shown to lead to the emergence of latent artistic and other creative talents, suggesting that, on the dominant side of the brain, it probably plays a role exerting a top-down or hypothesis-driven style of cognitive reasoning. Damaging or deactivating it, on the other hand, therefore unleashes the more creative non-dominant, right hand side of the brain. The researchers therefore asked their particpants to solve some logic puzzles that were arranged in three categories of increasing difficulty and involved moving matches according to a simple rule in order to complete a set of sums. During an initial training session, the subjects solved puzzles that all involved the same strategy. This knowledge, the researchers expected, would then make it trickier for the participants to solve the subsequent puzzles, that required a different approach. The volunteers were divided into three groups. In one group a small current was applied imperceptibly across the temporal region of the head with the left side negative and the right side positive. This configuration has been shown to inhibit underlying structures on the left. A second group were rigged identically except that the right side was made negative and the left side positive. A third group were controls and received no stimulation. The results showed a powerful effect, with subjects receiving the left-negative stimulation showing significantly more success solving the subsequent puzzles than either the other stimulation group or the controls (50% success versus 20% respectively). In other words, those subjects in which the left anterior temporal region was inhibited were much better at developing original cognitive strategies to solve the novel problems. Quite literally, these individuals were thinking better outside the box. As the researchers point out "predisposition to use contextual cues from past experience confers a clear evolutionary advantage in rapidly dealing with the familiar, but this can lead to the mental set effect or over-generalisation." Snyder and Chi also quote John Maynard Keynes who pointed out in the 1930s, "The difficulty lies, not with the new ideas, but inescaping from the old ones, which ramify into every corner of our mind." And it looks like he was right!